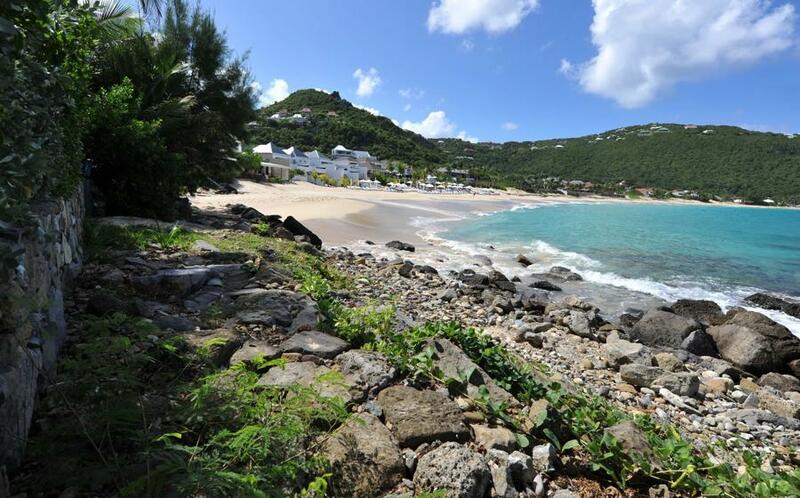 Nearest beach: Flamands, 2 min. 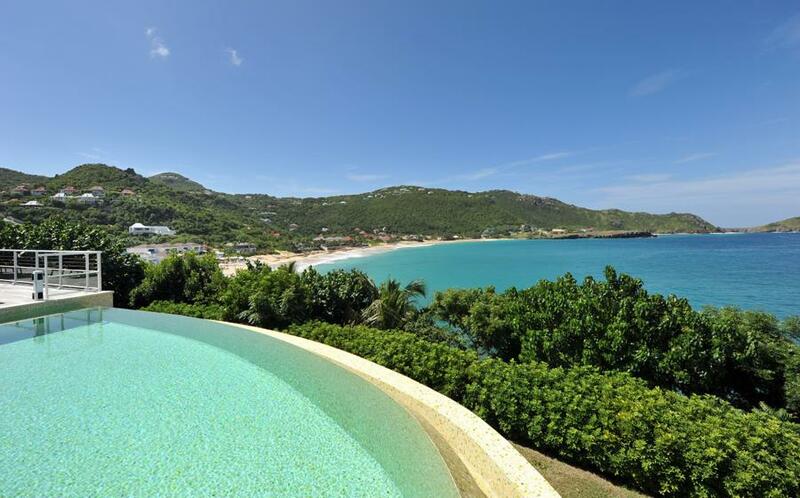 PERFECT LOCATION ABOVE FLAMANDS BEACH. 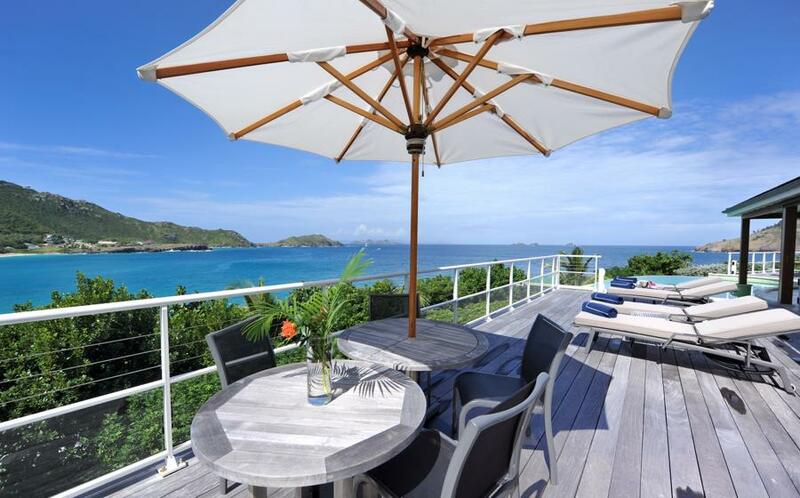 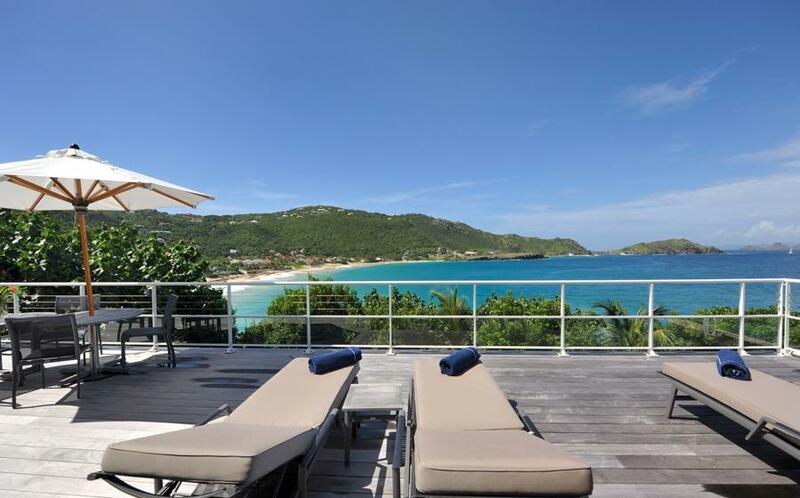 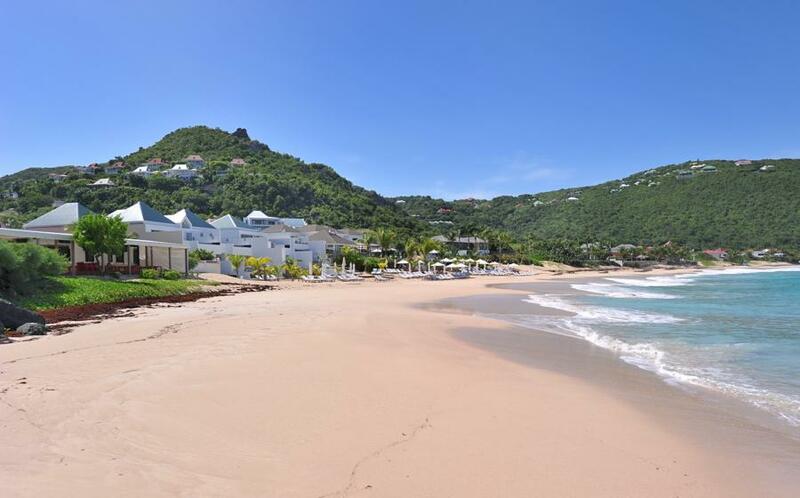 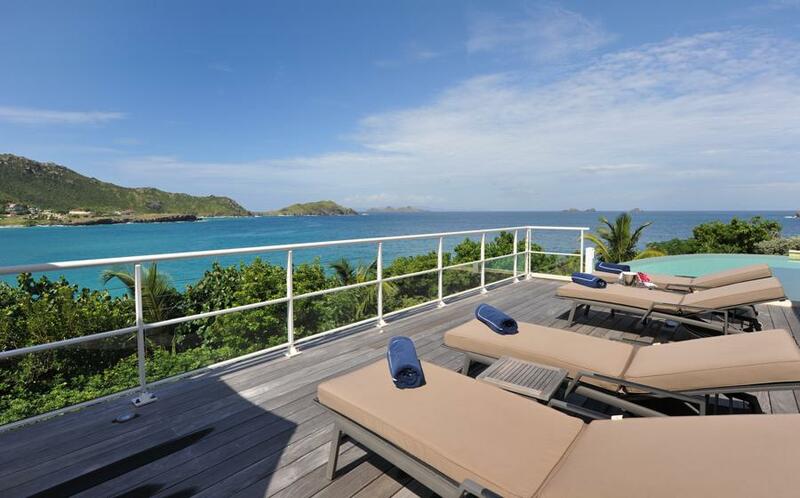 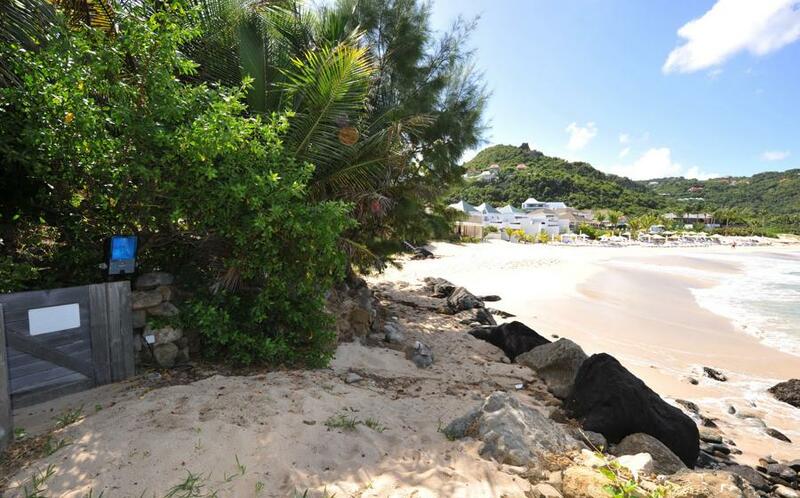 Located in the French West Indies near St. Martin and Anguilla, St. Barts (short for St. Barthélemy) captures visitors' hearts with its quaint, chic French atmosphere and relaxed, small-town charm. 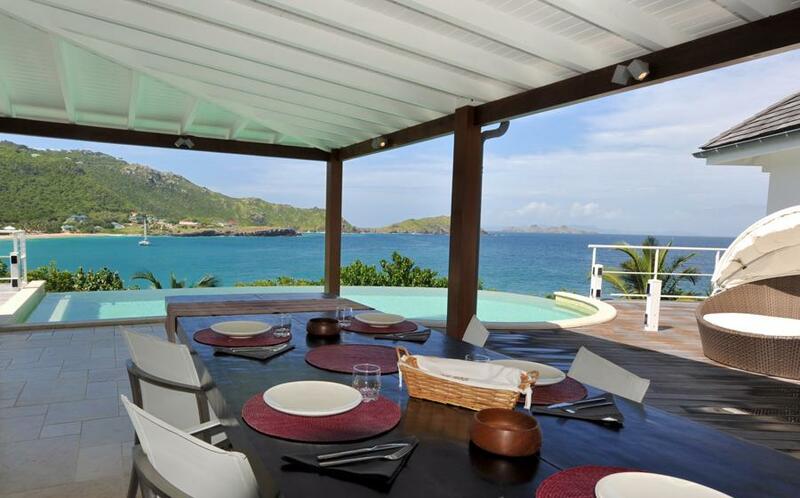 Dine on delicious international cuisine, shop in upscale boutiques, and stroll past storybook-like architecture on this exquisite island, a favorite of celebrities and jet-setters. .
Not too near the beautiful beach, just enough to give you a privacy, but walking distance to go down the stone stairs in the garden to the beach. 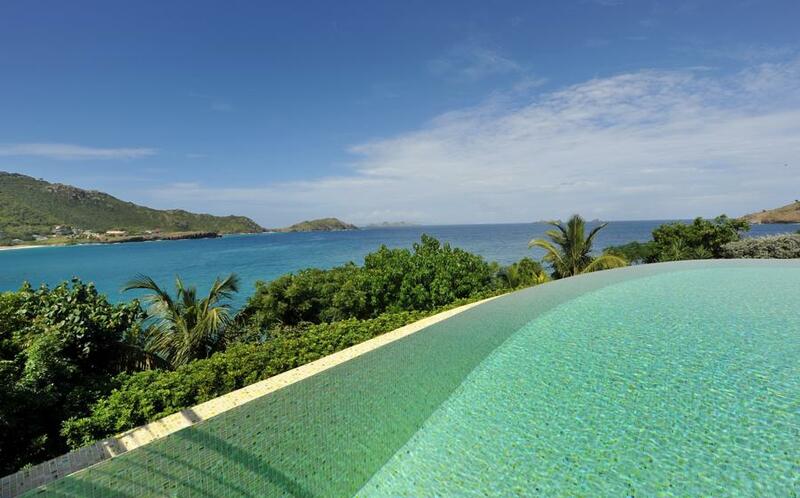 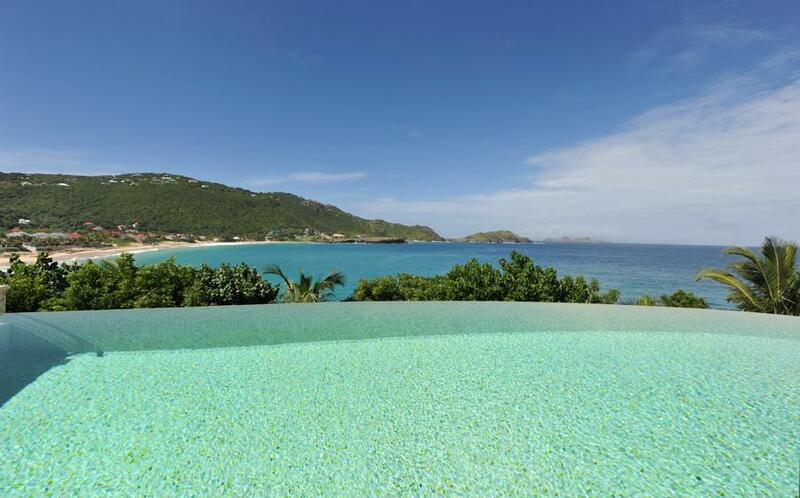 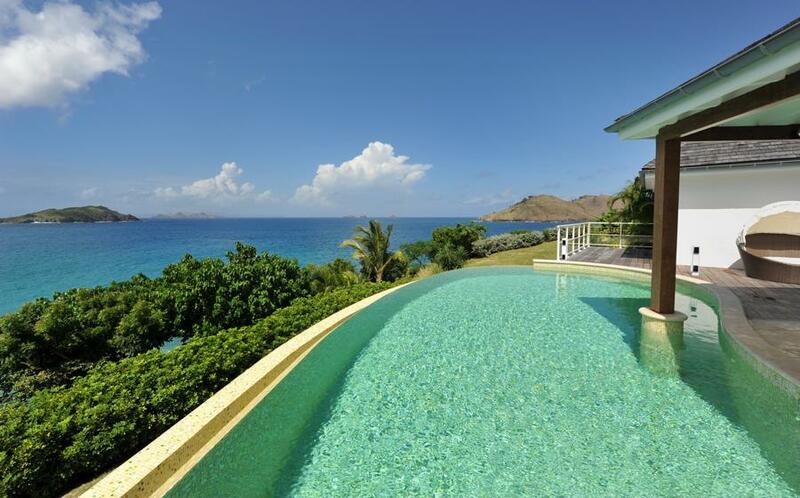 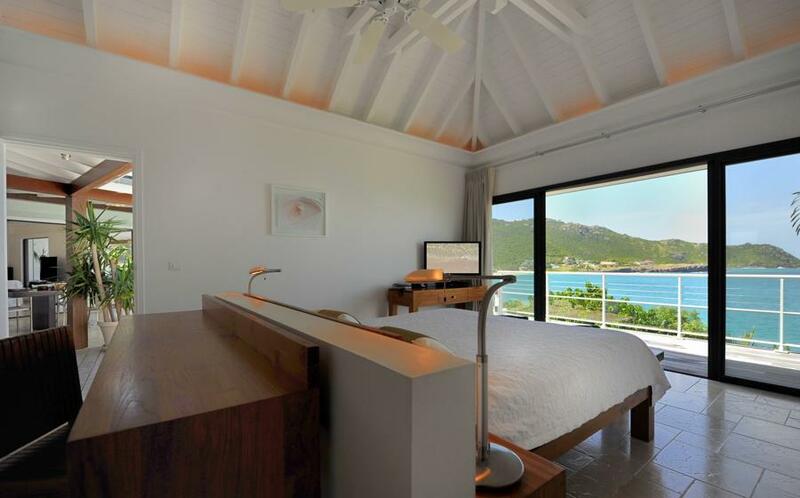 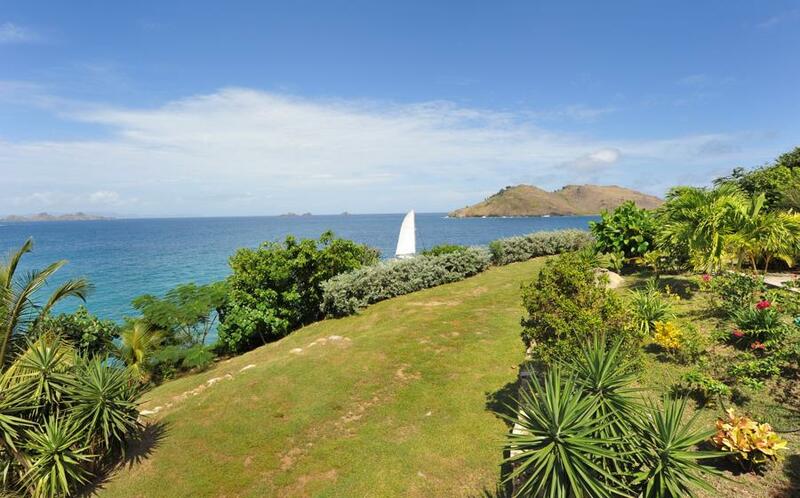 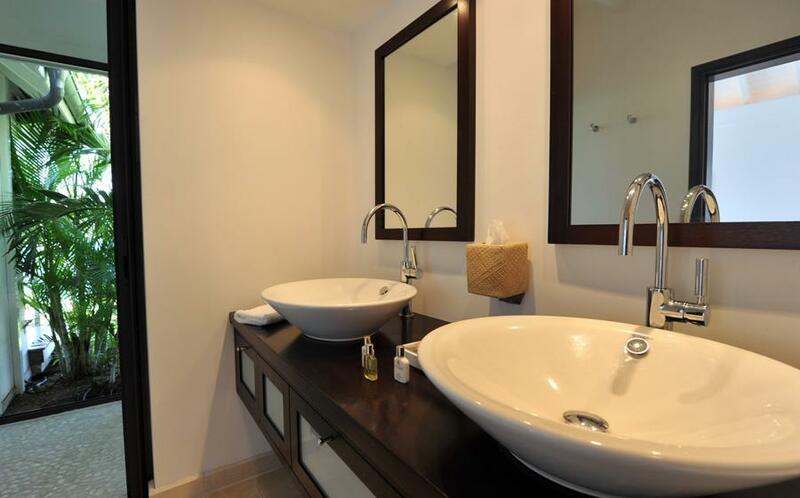 The ocean view encircles the beach, and the ocean towards the islands of Bonhomme, Fourchue, St. Martin, and Anguilla. 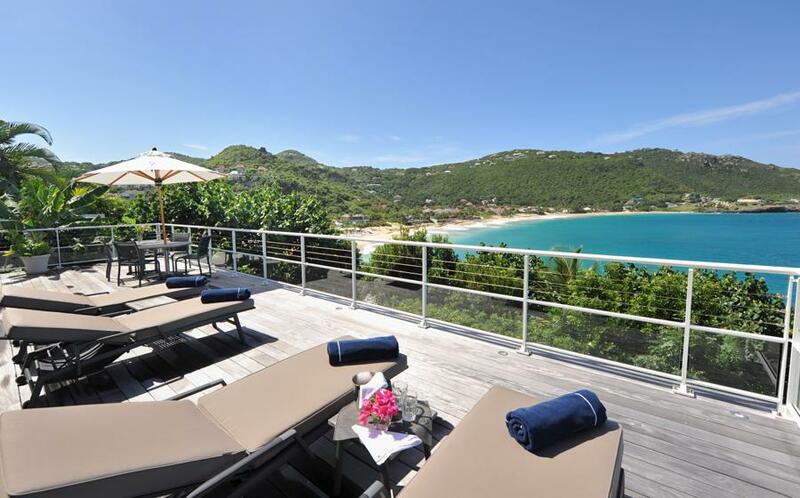 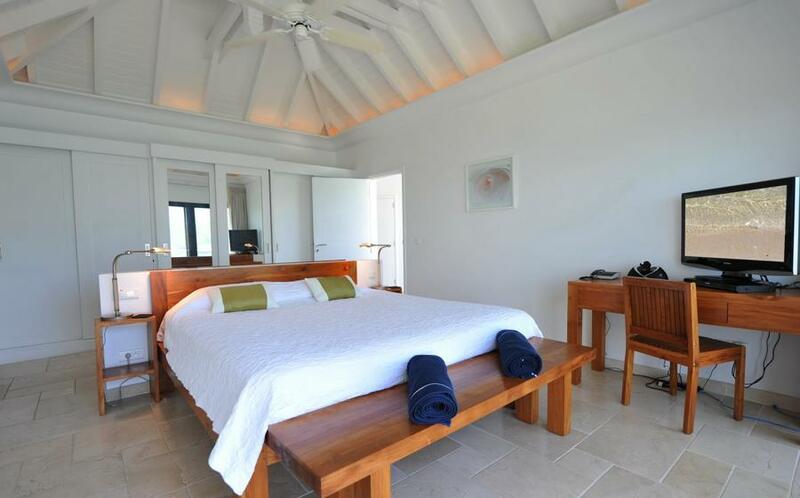 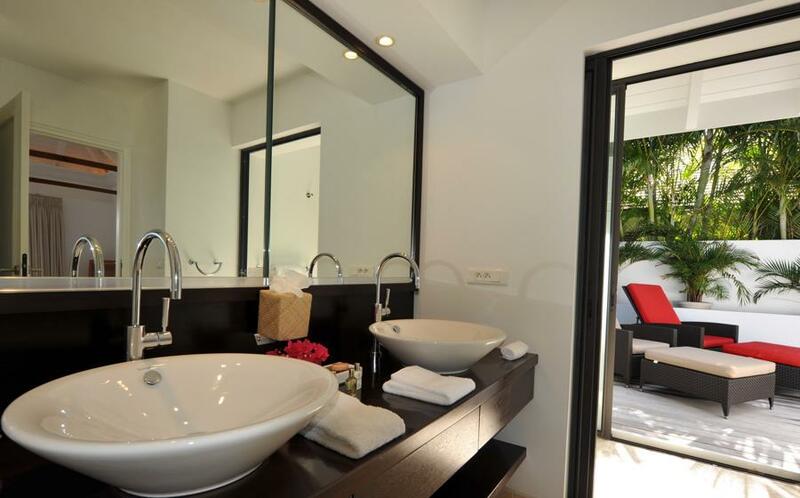 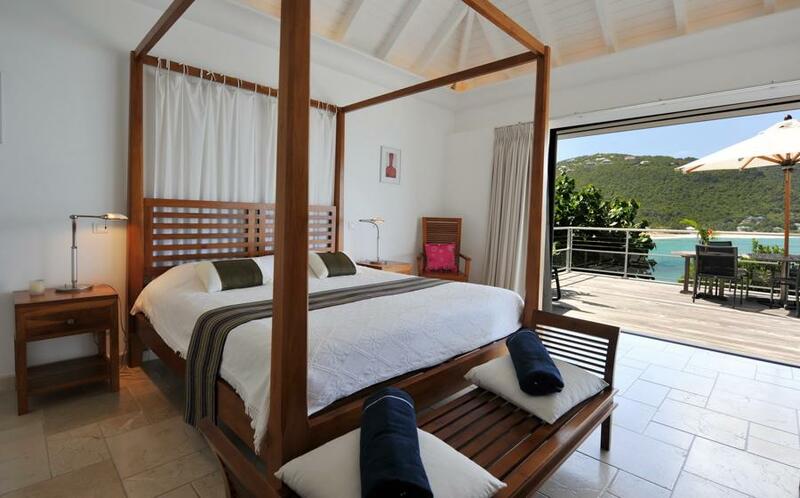 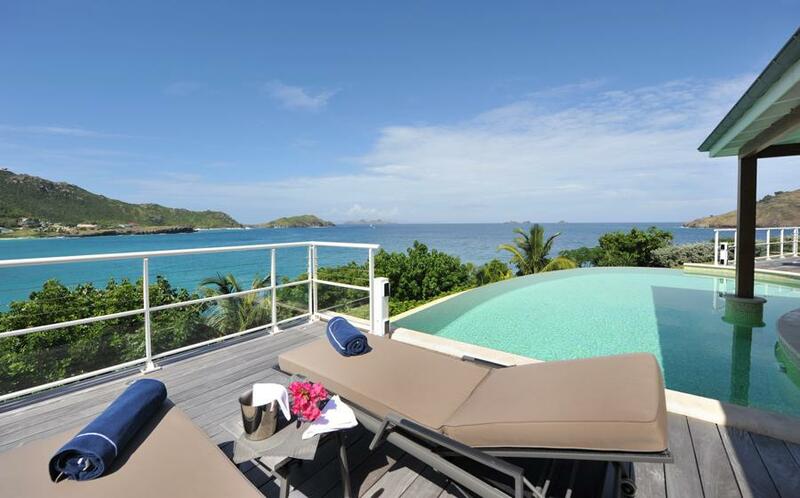 A large sun deck and the infinity pool are overlooking the beach of Flamands. 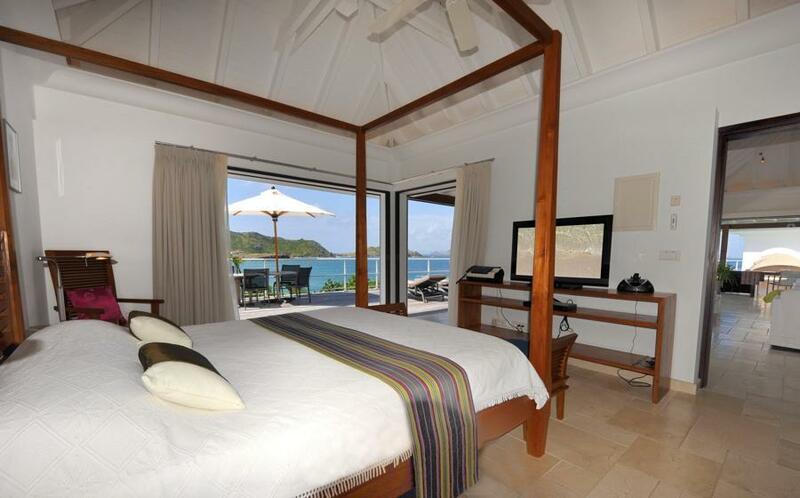 The living room and the bedrooms have a direct view on the beach, and the ocean. 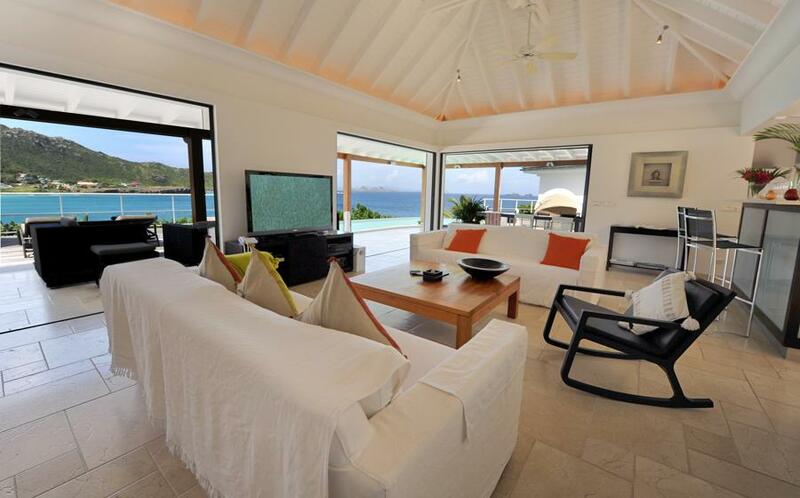 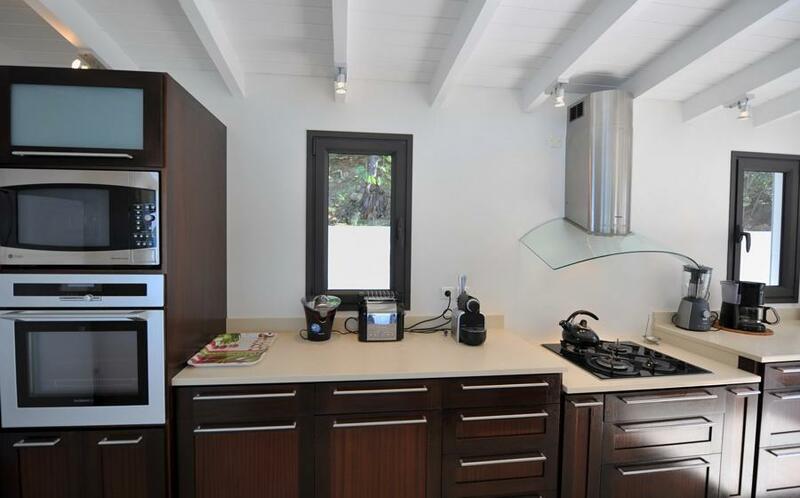 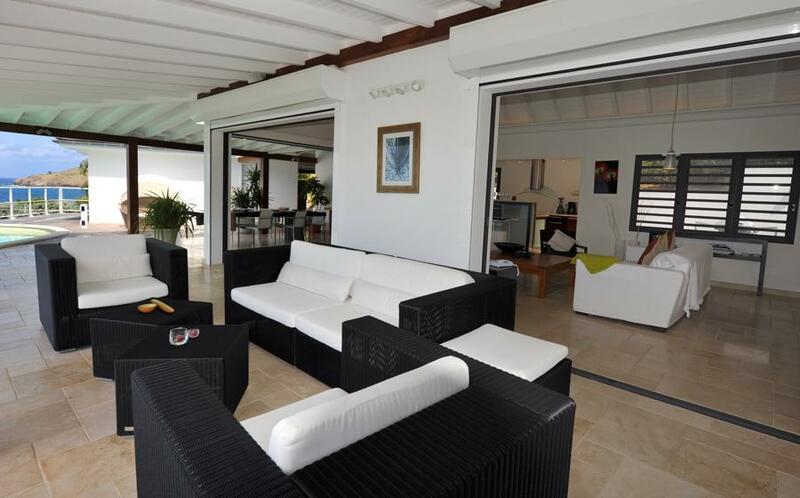 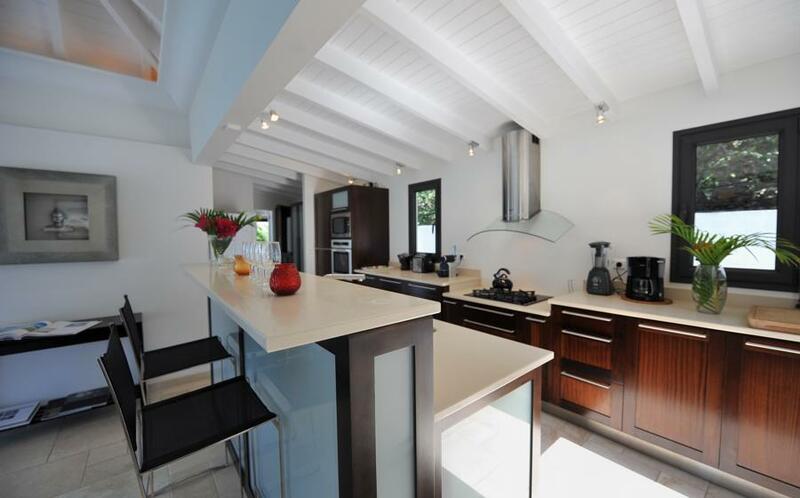 Maybe the perfect villa to stay to recharge your batteries.